Heroes, Heroines, and History: Ellis Island-Exploring our Roots by Debbie Lynne Costello PLUS a giveaway! Ellis Island-Exploring our Roots by Debbie Lynne Costello PLUS a giveaway! Discovering family genealogy has become a popular hobby for Americans. We want to know more about where we came from. Little did the government know that the passage of the "Steerage Act of 1819" requiring all arriving vessels to deliver their passenger manifests to the U.S. Government and be reported to Congress would prove an invaluable piece of the puzzle in our quest. This document holds the key for many as an important starting point in researching their family history, thus making Ellis Island a strategic place to begin their investigation into their family tree. My grandmother's side of the family has managed to track the Veatch name back to the time of William the Conqueror. Because of that I know that my family from my grandmother's side never entered through Ellis Island. My great (8 times) grandfather and uncles were in America to fight the Revolutionary War, long before an immigration depot was considered. I know my great-grandfather Joe Lisuzzo and his brother (on my father's mother's side) stowed away on a ship at age 16 and 17 out of Italy and came to America. So I know they never went through Ellis Island. However, my father's father's side were out of Germany and very well may have come through the Island. I thought it'd be interesting to look into this place that so many of our ancestors were processed through. 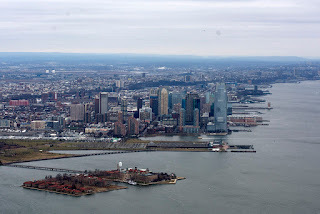 Somewhere between 1674 and 1679, Ellis Island (at this time it was called one of the three "Oyster Islands") was granted to Captain William Dyre. Dyre was the collector of customs and would become mayor of New York. During his ownership, the island was renamed Dyre's Island. For the next one hundred years, the island had many owners and some very interesting names. Some of the noteworthy names went back to the time when the island was used to execute pirates. Anderson was a well-known pirate in the mid 1700's. He was caught on the island and executed by the Gibbet. The Gibbet was a man size cage that held the rotting corpse together to warn others of what their fate may be should they commit the same crime. 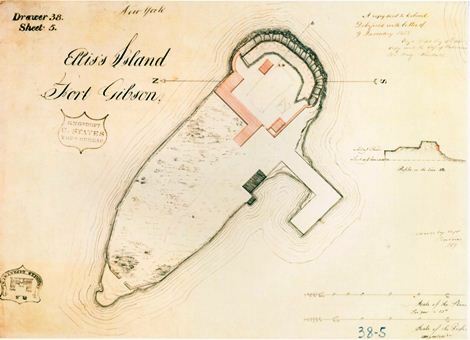 Because of that, the island was referred to as "Anderson's Island" or "Gibbet Island" (Here's an interesting article on the Gibbet http://www.ushistory.org/oddities/gibbet.htm). In 1774 a New York merchant named Samuel Ellis purchased the island. In an ad for its sale in 1785 Ellis called it "That pleasant situated island". The Island was a favorite spot to dig for oysters or visit the tavern Ellis built there and to enjoy the view of New York's bustling harbor. Ellis never was able to sell his island, and his descendants inherited it after he passed away in 1794. In 1808 New York State bought the property. The government saw the value in Ellis Island with its clear view of the entrance to New York Harbor. They built Fort Gibson which gave them strategic value as a defense post. The Immigration Act of 1891, established the Office of Immigration and began to administer immigration affairs. The government also appropriated money to build a new immigrant inspection station on Ellis Island. The Immigration Act assigned the Marine Hospital Service the responsibility of examining the immigrants and insuring their good health before entering the United States. Prior to construction of the first immigration depot on Ellis Island, they doubled the island's size with landfill. A ferry slip was dredged and a dock installed next to the main building site. Several older buildings from the island's military post days were modified and used. On January 1, 1892 the first immigration building was opened. Economic depression kept the immigration numbers low and Ellis Island processed fewer than 20,000 immigrants annually. In 1897 the wooden structures were destroyed by fire, but the government immediately rebuilt with fireproof buildings. Ellis Island processed almost 12 million immigrants through the immigration station between 1892 and 1954 when the station closed. However, by 1924 the anti-immigration legislation which was designed to establish quotas according to nationality caused a significant reduction in numbers of immigrants allowed to enter the United States of America. immigrants disembarking from the steam ferryboat William Myers. So now some fun and interesting facts about Ellis Island. Frank Puglia was born in Italy in 1892. He came through Ellis Island in 1908. If you don't recognize his name you might recognize some of the classic movies he acted in. Films like Ali Baba and the Forty Thieves, Casablanca, and Jungle Book. He was originally cast as the undertaker, Bonasera in 1972 hit 'The Godfather', but due to illness he withdrew from the role shortly before shooting began. Remember Bob Hope? I always thought he was home bred here in America. But the man famous for entertaining people as a comedian, actor, dancer and singer, as well as his support of the American troops abroad is not a native. Did you know that Bob Hope was an immigrant from England and his real name was Leslie Townes Hope? 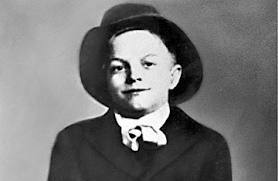 He came here with his family and passed inspection at Ellis Island on March 30, 1908, at the age of 5. Bela Lugosi pass inspection in 1921. In 1920 he had illegally entered the United States in New Orleans, when he failed to return to the merchant ship he served on. 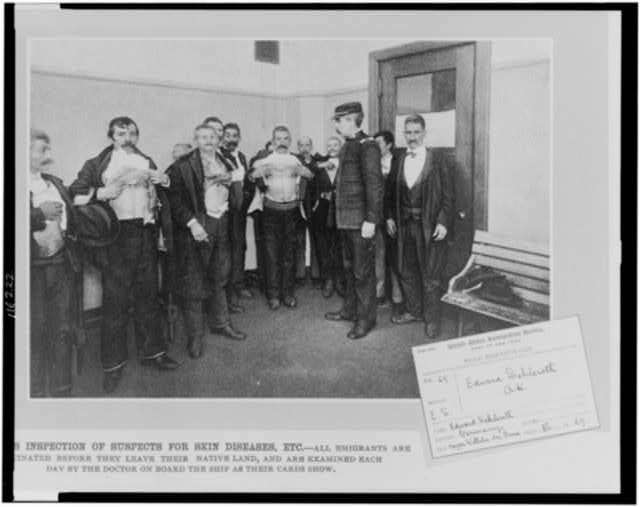 Surrendering to Immigration Service officials in New York later on, he was brought to Ellis Island. 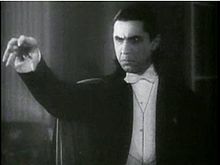 Bela Lugosi became a famous actor. His best known role was playing Count Dracula. In 1942 President Roosevelt issued an order authorizing the relocation of people with "foreign enemy ancestry" living in the United States (120,000 Japanese, 11,000 Germans, 3000 Italians were detained across the country). Serving as an internment camp throughout World War II, thousands of people were detained on Ellis Island. The majority being Germans, but some Italians and Japanese were also held. Ellis Island is federal property and throughout history has been considered in New York, however the United States Supreme Court appointed a Special Master to mediate a dispute. In 1998 a ruling came down that the original island belongs to New York, but the part added after 1834 belongs to New Jersey. If you'd like to find out more information about Ellis Island the National Parks Service has a wealth of information. 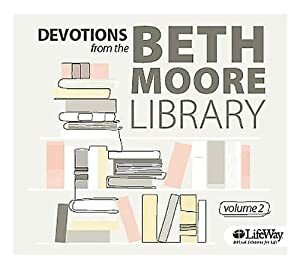 I'm giving away a copy of Devotions by Beth Moore. Share some of your genealogy research or leave a comment to be entered. Giveaway ends July 14th. Good Luck! Can't wait to chat with you. Fascinating information, Debbie Lynne. My folks on both sides are pre-Ellis Island, too, but I appreciated its place in our history. Just think of what would have happened if our government hadn't been able to keep out harmful or diseased individuals in those days before modern medicine! I can't even imagine, Louise. It also gave our country a little better idea of how the "melding pot" was melding. Ellis Island really did keep disease from running like wildfire through this country. Very interesting background on Ellis Island! I had never read any of that before. OH Bethany. There is soooo much more on Ellis Island. I just bought a book on Ellis Island and it is full of family and people's stories. It's just so interesting. My great-grandfather came with his four brothers to America from Germany long before Ellis Island was an immigration station. I've read through long lists looking for other relatives and found that my uncle's wife and her family came through Ellis Island as Jewish immigrants in the 1930's to escape the atrocities of Hitler. They were fortunate that her father had the money and means to get his family to safety in America. They settled in Indiana. I never knew all the history of the island. Thanks for the great information. That is interesting family history, Martha. I imagine that was pretty scary stuff when they were trying to escape. Would love to read their memoirs. Very interesting. Thanks Debbie. I'd like to start putting together my family's genealogy, but where to start? And which side of the family do you start with? Of course, for my children, I would want to search all four of their grandparents' lines. LOL! I see what you mean, Pam. Fortunately I have one line already done for me. I have a book on my Mom's (deceased) family history.....and really treasure it! Had hoped for one of my Dad's...but it never worked out. I love Beth Moore's writings! Hey Jackie, thanks for coming by! Family history is so much fun to read. There are so many hidden treasures in the lives of our ancestors. Good luck on the drawing! OH very cool, Veronica! I really need to see if my German ancestors came through Ellis Island. I'm betting they did. I know that twin brothers came over from Germany and are part of my heritage. I also know my great grandmother was 1/2 Cherokee Indian. I am definitely part of the melting pot of America. 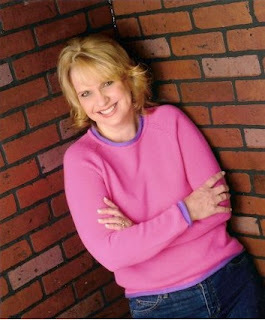 Hi Debbie Lynne.. just dropping by to say Hi and what a Great, well-researched article you wrote on Ellis Island! Love that they hung pirates there! And you have stowaways in your family.. Well that explains a lot. LOL. I have no idea if any of my ancestors came through Ellis.. that would be interesting to know. Hey MaryLu! I thought of you when I read that about the pirates. There is so much about Ellis Island. I had to just pick and choose. But yes, I do have stow aways in my family! Hi!! Thanks for the give away... I've not done a lot of genealogy searching myself, both my mom and my brother-in-law have done extensive work so I take advantage of what they've learned! That's the way to do it! I've looked a little into my husbands side but it really is an art to the research. Good luck in the giveaway and thenks for stopping by. Very interesting, I love learning about Ellis Island, it is a favorite place to visit when I am in NYC. I've never been to Ellis Island but now I really want to go. There is so much I'd love to see there. Hi Debbie, great post! I myself have never done any genealogy researching because my family elders have done a pretty great job of keeping up with the family trees. I'd really like to visit there one day so as to put a picture to the place I've read so much about in a lot of the Christian historical fiction I seem to have this last year. Thanks for stopping by, Kam. I haven't been there either but I do want to visit there myself. Good luck! I've never been there either but would love to go. The family rumor is my hubby's great great grandfather jumped ship before it entered harbor and thus was never "officially" entered. He apparently had family back overseas and was running from them!! Crazy what you find out. :) Great post! LOL! Now that is funny, Susan. Do you know what year that was? What a fun story. I'd like to hear more about that grandpa! I am named after both of my grandmothers. My middle name is my Irish grandmother's first name and my first name ~ Irish with my Norwegian grandmother's maiden name Lien ~ proud of my heritage. But here's the best of all: Psalm 119:111 Thy testimonies have I taken as an heritage for ever: for they are the rejoicing of my heart. Oh how sweet! You're fortunate having your heritage all in a nutshell. I'm afraid mine is a lot more convoluted once you get past the Italian, German, and Scottish. Thanks for coming by. Horseheads, NY had one of those detainment camps during WWII, also, where the Holding Point is now. I've always wanted to research it. Thanks for a fascinating article, Debbie Lynne. Thanks for coming by, Kathy. You have so much rich history up your way! Enjoyed the blog - thanks for the info & the opportunity to win the devotional! I am a descendant of the fighting MacGregor clan from Scotland, & the controversial, & reportedly white, Shawnee war chief "Bluejacket". OH Bonnie, How cool to be a part of the MacGregor clan!!! And a Shawnee war chief! Wow just imagine the stories. Thanks for stopping by and good luck! CONGRATULATIONS HOLLY M WON THE BETH MOORE DEVOTIONAL! WATCH FOR AN EMAIL, HOLLY.